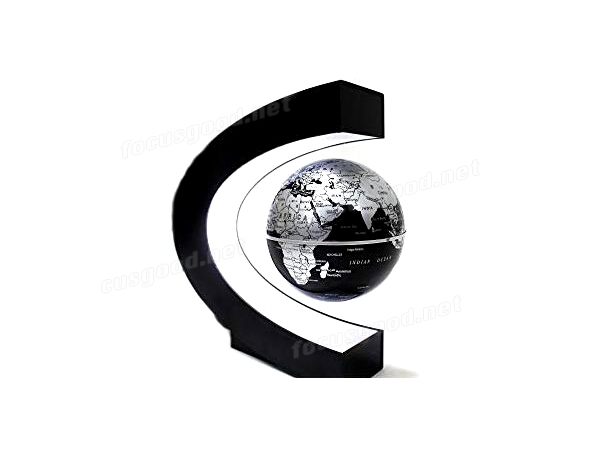 1.It uses a powerful magnet to hold itself in mid air and can rotate in 360 degree. 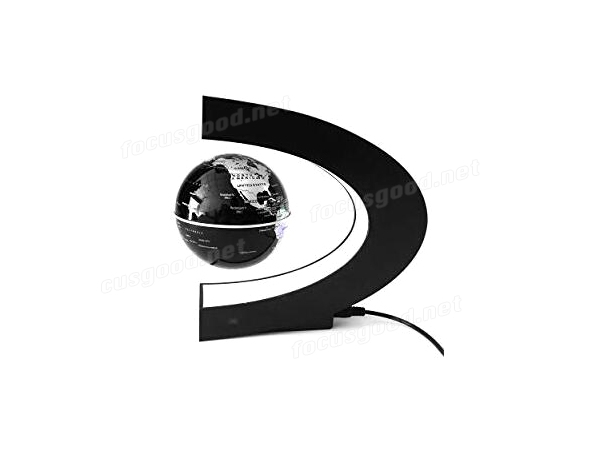 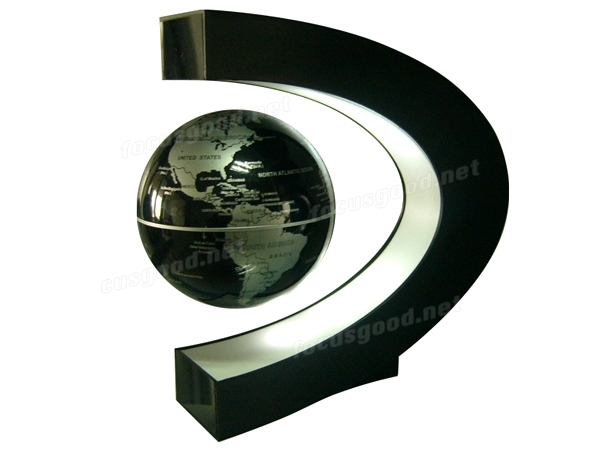 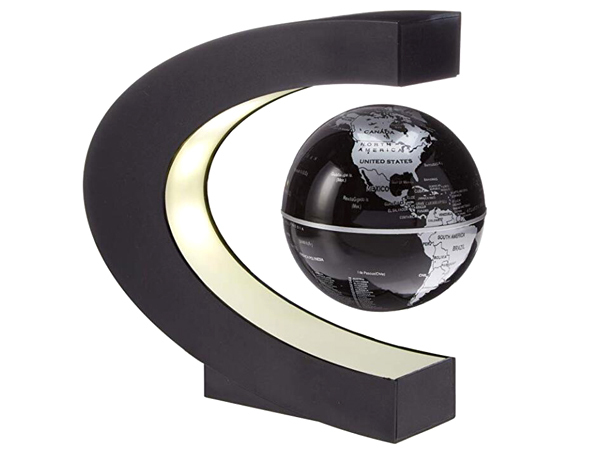 The c shaped based must be turned on and the globe needs to be positioned correctly in order for it to work. 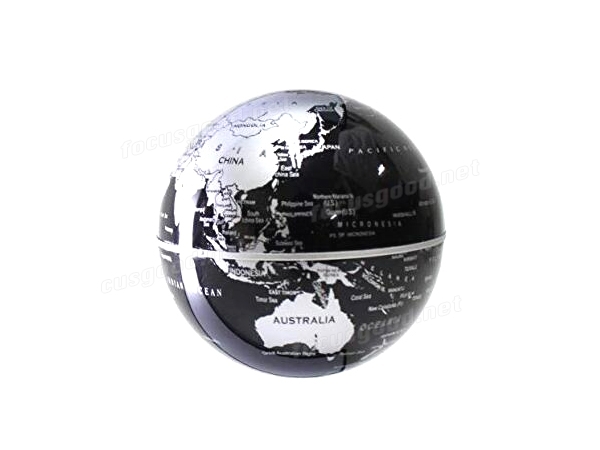 2.Also be very careful when shutting off the base because the globe will slam onto the base and create a loud bang sound. 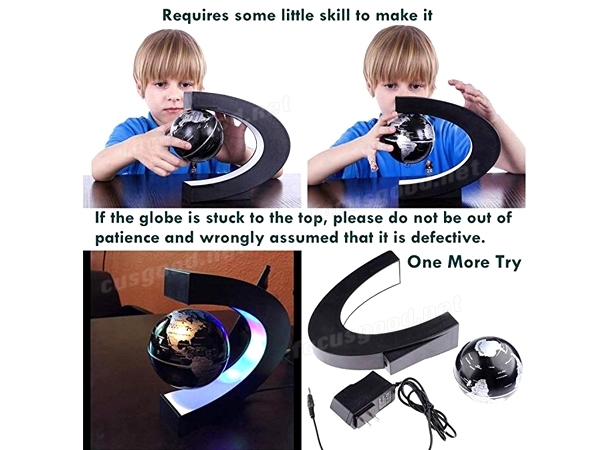 To prevent that, just simply remove the globe and then power the base off.